Provide comfort for the family of Linda Mullin with a meaningful gesture of sympathy. Linda Basil Mullin age 65 of Burnsville passed away peacefully at home on February 9, 2019 after an 8 year battle with breast cancer. Linda retired from ISD #196 as a Tech Coordinator. Preceded in death by parents, Lewis and Bonnie Basil; sister, Cheryl Bergman. Survived by loving husband of 43 years, Tim; Children, Jennifer Bunkholt, Shawn (Sara) Mullin, Daniel Mullin; grandchildren, Zackary Bunkholt, Sammy Mullin, Will Mullin; sisters, Marian (Jim) Palmer, Diane Eddy; brother Joe (Kathy) Basil; many nieces, nephews, relatives and friends. Visitation Monday 4:00 p.m. – 7:00 p.m. February 18, 2019 at Gill Brothers Funeral Home, 9947 Lyndale Ave. So.. Private interment. In lieu of flowers, Memorials preferred to the American Cancer Society or Donor’s Choice. To send flowers in memory of Linda Mae Mullin (Basil), please visit our Heartfelt Sympathies Store. 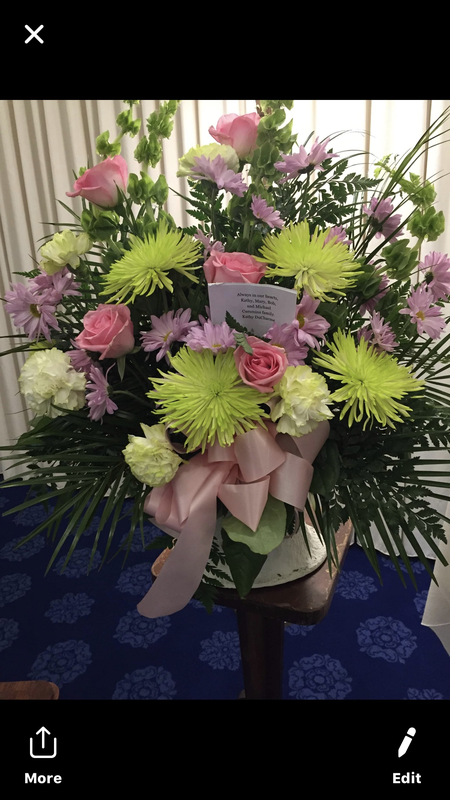 Alan and Paula Fleischauer, Chuck Vest and family, and others have sent flowers to the family of Linda Mae Mullin (Basil). Linda was a long time friend of our entire family. We spent many hours together up at the cabin. In Loving Memory of Linda Mae Mullins (Basil).